* Alhaj Mahmoud Fakih (pictured above), a high profile military leader/commander with Amal, who was killed by the Israeli Defense Forces when he tried to foment numerous terrorist attacks on them. * Osman Abd Alnabi Fakih from Maidoun in the Bakaa Valley, Lebanon–Hezbollah/Amal terrorist killed by Israel, after he tried to attack it. * Ibrahim Mohamed Fakih from Altairy, Lebanon–Hezbollah/Amal terrorist killed by Israel, after he tried to attack it. 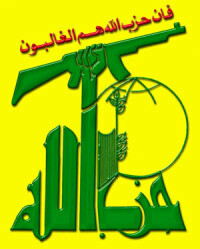 * Ali Said Fakih from Kafra, Lebanon–Hezbollah/Amal terrorist killed by Israel, after he tried to attack it. 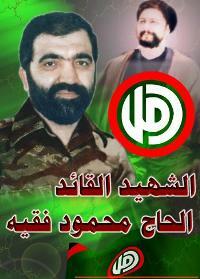 * Yousef Ali Fakih from Barish, Lebanon–Hezbollah/Amal terrorist killed by Israel, after he tried to attack it. * Kassem Mohamed Jaber from Srifa. * Ali Hasan Farhat from Srifa. * Ali Ahmad Nazal from Srifa. * Osama Ramadan Hamoudy from Srifa. * Mohamed Ahmad Ramadan from Srifa. As I told you yesterday, I sent a press inquiry about this open Islamic terrorism supporter to the Miss USA pageant. Predictably, they have yet to respond. I’m not holding my breath for the pageant judges–airheads, like pageant owner Donald Trump’s third wife, Melania–to ask Fakih any questions of substance regarding the terrorist group she supports and in which her family is heavily involved. That would be too courageous, too brave, too patriotic–terms that have nothing to do with Donald Trump and his organization. Donald Trump is worse than an airhead. In his stab and “multiculturalism” he was diminished the “Miss US and “Miss Universe” brands. Donald Trump is a self centered narcissistic dirtbag. His wealth is based solely on political connections, most of them Democ-rat, and he should never be considered for high office in America. Oh, Zeinab, . . . by your writing, anyone can see what a beautiful culture and family you are from! And as appears, sssooo intelligent, . . . no doubt, I’m not the only one, just waiting for your book to come out! Please let your audience know when, . . .
Ramblings of a sad, jealous girl who didn’t have any boys hitting on her in High school. I mean combined with your absolute hatred of Muslims it must drive you INSANE that millions of guys would cut off one of their arms to have a night with Rima. Don’t hate Muslims for being (in Rima’s case, WAY) better looking than you, hate your parents for being ugly. Those people you call terrorists are martyrs who died defending their country – you probably are just jealous that you are not even an iota of good looks this Fakih lady is – such a pathetic jealous woman that you are !